The SPC-Elite (single set-point control) series senses temperature, high temperature, pressure or humidity and provides a S.P.D.T (single pole, double throw output.) It is used whenever on/off or two-position control is desired. 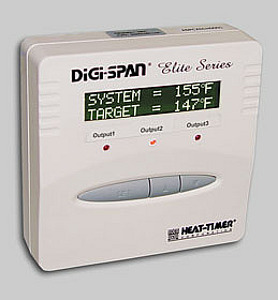 * One control can operate in single-stage heating or single-stage cooling. SPC-Elite DOES NOT COME WITH SENSORS. SENSORS MUST BE ORDERED SEPARATELY.